EDITORIAL: Edinburg: Are you in, or out, on county courthouse project? 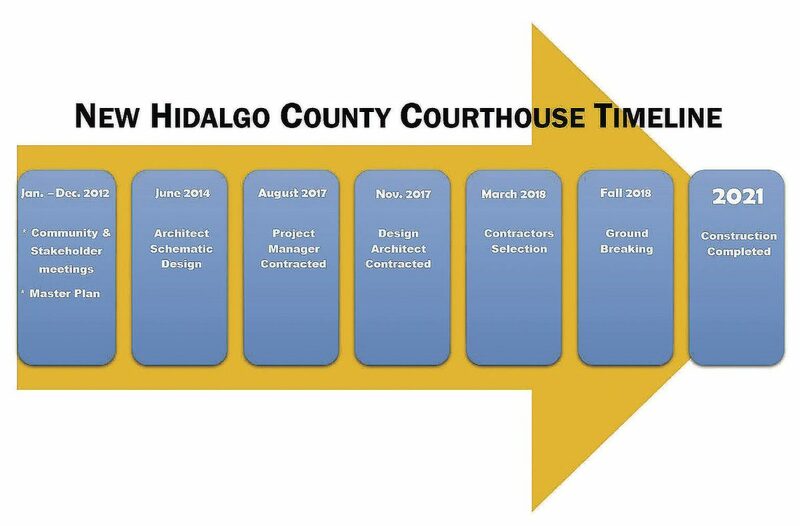 Hidalgo County Commissioners on Tuesday held a prolonged discussion on what to do if the city of Edinburg reneges on its previous promises to help fund the new county courthouse. But missing in the room were leaders from the city of Edinburg. They didn’t show up and haven’t responded to numerous letters sent by Hidalgo County Judge Ramon Garcia, as well as multiple phone calls and requests for meetings from his staff, since late last year when new city leadership took over, the judge said. If Edinburg’s new leaders have no intention of funding the $30 million that county officials were counting on — and which previous city officials had verbally and publicly pledged numerous times, including via two interlocal agreements and an MOU — then they should say so. This waiting game will only cost Hidalgo County, as interest rates on construction labor and material are expected to continue to rise. And it could lead to higher taxes to make up the difference. It sure seems like he is blowing them (us) off. We also ask Molina to clarify what he meant when he referred to the previous commitments as a “gentleman’s agreement?” A memorandum of agreement, while it may not contain legally enforceable promises, is a promise nonetheless. And a promise made between municipalities, by elected officials, should be honored. We understand that Edinburg might be worried about the financial burden that annual payments of $1.5 million toward the new courthouse could impose. That’s OK. If Edinburg feels that way, then Hidalgo County should in no way feel compelled to keep the county courthouse in Edinburg’s city square. 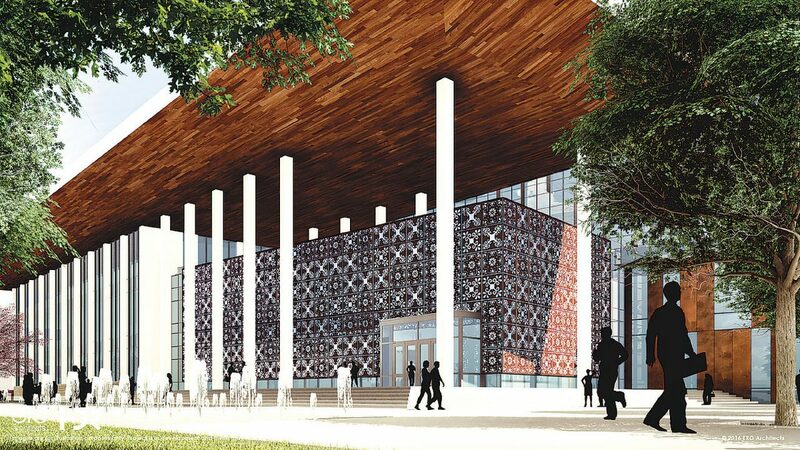 The construction of a $150 million new courthouse will undoubtedly be an economic driver to whatever city lands it, and whichever city does should be prepared to shell out some funds to happily be its host. Hidalgo County Commissioner Eddie Cantu pointed out that already Edinburg has received $39 million in economic development incentives from the county during the past decade. Those incentives are an example of the symbiotic relationship necessary between cities and the county. But that relationship could be jeopardized if the city doesn’t hold up its end of the bargain. In this case, Edinburg should do the right thing and shore up the necessary funds for the new courthouse as it promised. 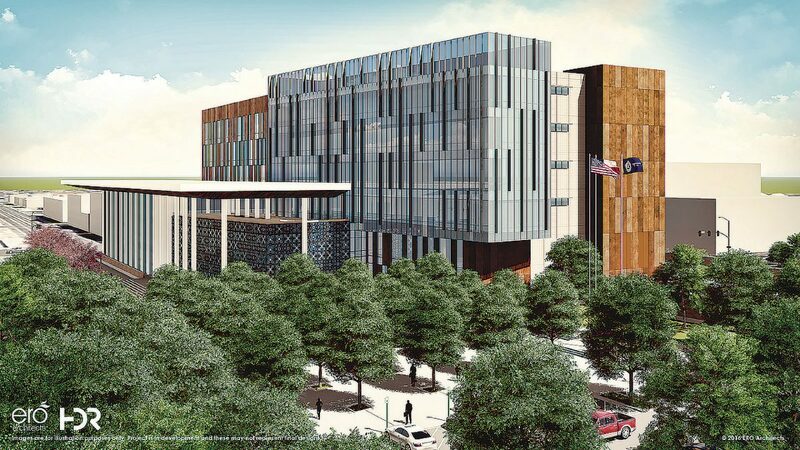 Financing this project without the promised $30 million will be tricky, the county’s financial advisor, Noe Hinojosa, of Dallas, told commissioners Tuesday. County Budget Officer Sergio Cruz said funding this project was reliant on three sources: Edinburg, new courthouse filing fees, and property taxes. Total annual payments are expected to be about $11 million. Without Edinburg’s funds, it’s obvious that the $1.2 million collected in court filing fees won’t be enough to offset this loss. That will leave either taxpayers holding the bag, or commissioners will have to come up with a scaled-down redesign (or move the project elsewhere.) And all that will cost more money. Hinojosa promised to study the issue and return in a couple of weeks to lay out his suggestions on how best they proceed. We wait for his advice, and in the meantime, we expect to get a definitive answer from the city of Edinburg so Hidalgo County leaders can proceed with what’s best for our county, and its taxpayers.